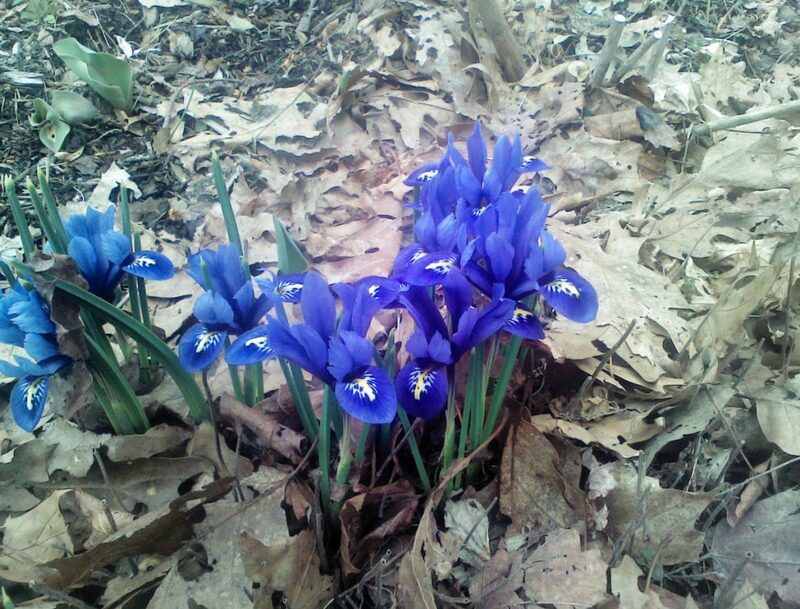 As early as March, they have blue blossoms, which are about 2 inches across. Early-blooming iris add a lot to the garden at the time when nothing but a few crocuses are in bloom. If you are going to get into this in a big way, you should plant two varieties. The first, which my wife and I don’t yet grow but intend to plant this fall, is Iris reticulata, a short Zone 4 plant native to Turkey that Harriet Robinson of Otisfield raved about during a talk I attended to the Cape Elizabeth Garden Club about Mediterranean plants that do well in Maine. As early as March, they have blue blossoms, which are about 2 inches across. The plants grow about four inches high and prefer a sunny location. Plant the rhizomes in the fall in fairly light soil. Crested iris, or Iris cristata, are North American natives that bloom in April. These, we’ve already got in our garden, and as you can see, they really are lovely to look at when not much else is. Crested iris are two to four inches tall and have slightly smaller blossoms than the Iris reticulata. Crested irises prefer full sun, but will tolerate some shade. These will spread – but not quickly – and they’ll last forever. Crested iris prefer richer soil than the reticulata. You can buy them in pots now, or plant the rhizomes in the spring or fall.